It is better to let someone walk away from you than walk all over you. You don’t deserve to be a doormat. 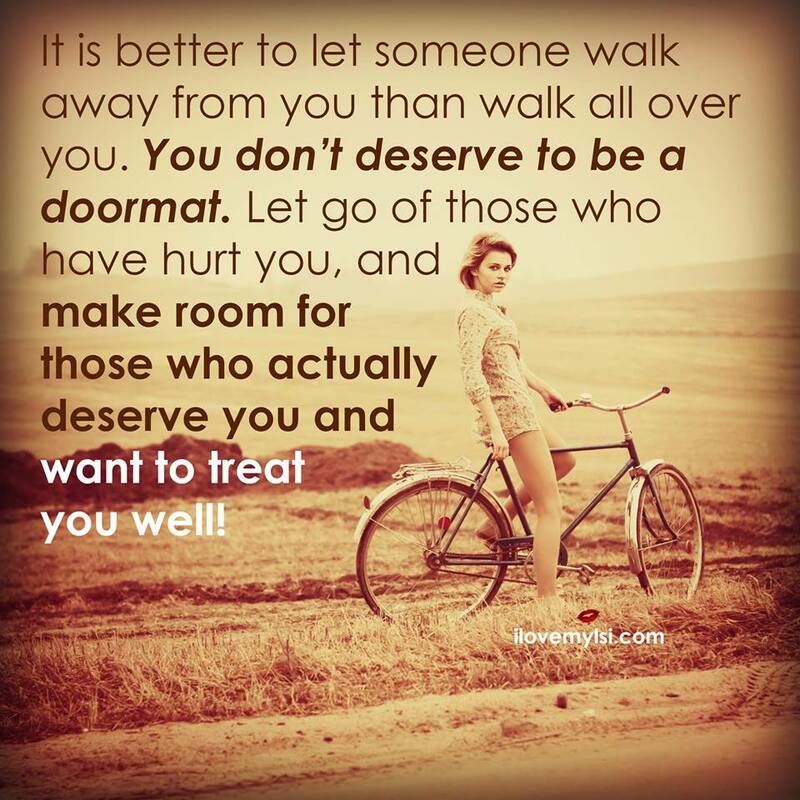 Let go of those who have hurt you, and make room for those who actually deserve you and want to treat you well!